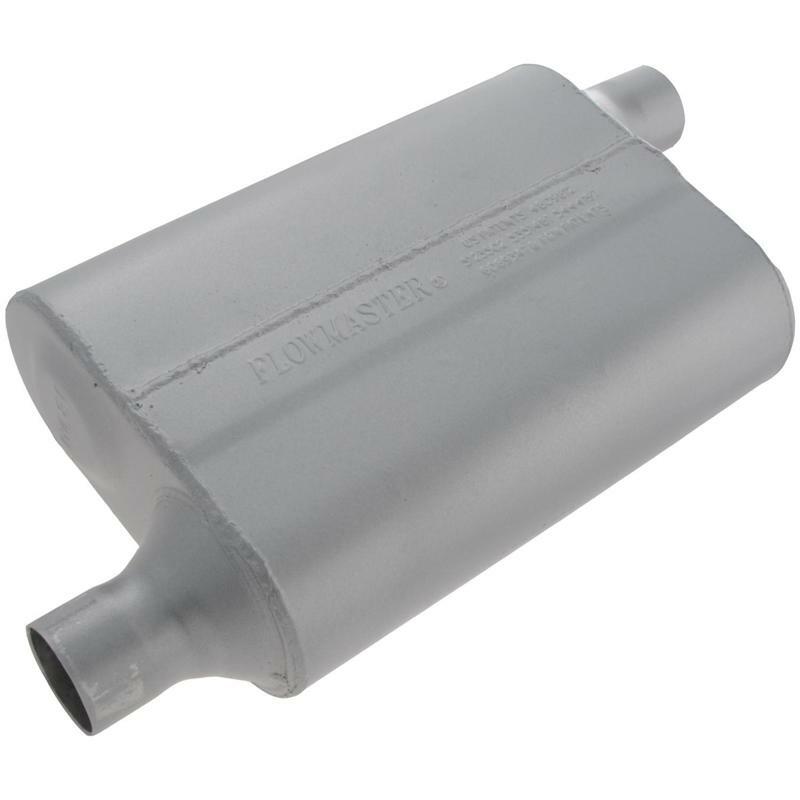 Flowmaster Performance Muffler - 40 Series Delta Flow - Lightning Motorsports - Selling Speed since 1996 ! This two chamber design incorporates Flowmaster’s patented Delta Flow technology. The Delta deflectors generate increased scavenging for better performance and reduced interior sound. Milder exterior tone and reduced interior resonance over Original 40 series. Constructed of 16 gauge aluminized steel and fully MIG welded for maximum durability.